The new Child Care Subsidy and more tips for parents. 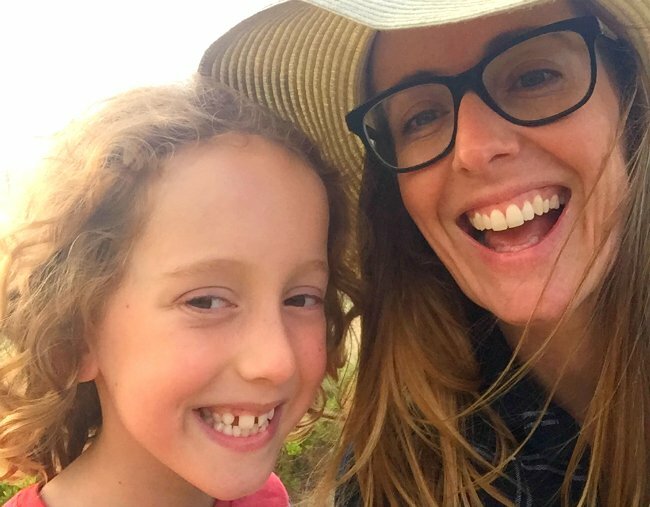 Six tips for parents new to child care from a mum who's done it twice. Being a working mum of two, I have experienced the emotional, as well as the practical aspects of navigating child care arrangements for both my boys. My eldest son Toby, is now seven years old and a child care ‘graduate’ in year two of school. Our youngest, 16-month-old Leo, currently spends three days each week enjoying child care while I work. Although there have been some tearful drop-offs in the early stages (I’ve cried more than them), paid child care hasn’t just helped me return to work, it has been hugely beneficial for my growing sons. If you are ready to start your little one at child care but don’t know where to begin, I hope my top six tips will help you get the ball rolling. 1. Do your research and get organised. Consider your local options and see how they compare online and in real life by taking a quick look with your little ones in tow. Similar to finding a great hairdresser, a word-of-mouth recommendation from a trusted friend is a good way to start shortlisting child care options in your area, while taking into account your own child’s needs. Once you have a shortlist, ask if you can tour the centre before putting your name on the waiting list. In high demand areas, waiting lists can be years long, especially for the under-twos age group where a high staff-to-child ratio is required. Tuesdays and Wednesdays are the most popular days to request care, so if you can be flexible, it might help you secure a spot for your child faster. Good things come to those on waiting lists. Right, Leo? Image: Supplied. 2. Examine your household budget. How many days will you need? What can you afford and how will the new government Child Care Subsidy work for you and your family’s budget? Consider options such as Goodstart Early Learning&apos;s flexible hours scheme which from July 2 offers families the choice of nine-hour, 10-hour and all-day sessions to fit within your family&apos;s requirements for the Child Care Subsidy. This way you can make sure you don&apos;t run short of eligible hours and you can minimise your out-of-pocket expenses. 3. Consider your child’s personality and nature. Is your little one a bit shy? Is she very creative? Does he need to run around outside like an excitable puppy each day?! Look at their strengths, consider their age and stage, and find a child care centre offering elements you think will work for them. If they need prep for school, early learning offerings from places like Goodstart can really help. For my boys, early learning has been great. Toby was quiet and shy in his infancy so he benefitted greatly from two years in a child care centre with a fantastic early learning program. Toby had heaps of fun learning about the world around him while his confidence grew and his social skills developed, so that he had no worries when it came to starting school. At this stage Leo seems much more confident than Toby, with a real love of the outdoors. While he needs plenty of space to roam, we also better understood the benefits of quality early learning, second time around. We chose a different child care centre that is perfect for Leo and his unique character! 4. Get a stash of appropriate outfits for messy play. One of the things I love most about child care is that kids have an opportunity to get dirty doing messy and creative activities that I don’t want to do at home. I have a basket of ‘child care only’ outfits that are cheap to replace, quick to put on and easy to wash, as Leo loves crawling about in the mud and often returns home completely filthy! 5. Check out the supplied food options. You might not realise it now, but the more varied food options provided by your child care, the better for you and your little one. Packing and unpacking lunch boxes is one my pet hates and I really appreciate child care centres with on-site cooks and kitchens. I love seeing photos of Leo enjoying different types of freshly prepared meals that I haven’t tried at home, and it also means I needn’t feel guilty about a quick cheese-on-toast dinner that night! 6. Prepare for tearful goodbyes. Drop-offs can be emotional for kids and parents, and I have certainly had a few tears in the car after waving Toby or Leo goodbye. The transition stage is hard, but knowing my son was spending the day learning and playing in a great centre with skilled educators, made those first days so much easier and we have never looked back. For more information on how Goodstart Early Learning’s new flexible options could help your family, visit www.goodstart.org.au/sessions or call 1800 222 543.